Since 2009, Electric Mobility Canada has organized an annual Conference and Trade Show – the premier event in Canada on electric vehicles (EVs). Recent conferences have been attended by more than 60 speakers and 450 delegates from Canada, the United States and overseas along with a large trade show of industry exhibitors. 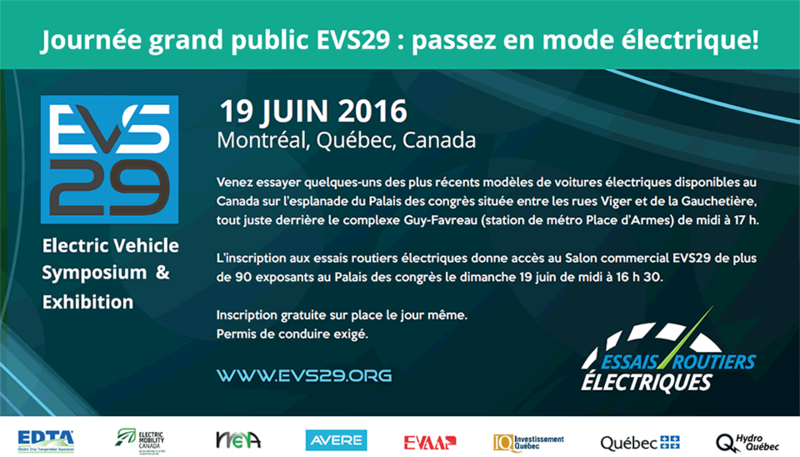 Our annual EV/VÉ Conferences represent the best opportunities for networking with and engaging EV stakeholders. Key leaders from automobile industries, federal and provincial governments, fleet organizations and academia are gathered to make EVs a sustainable solution for transportation in Canada. Do not miss this unique opportunity to meet with EV stakeholders and leaders! Please visit the annual Conference web site to learn more about the 2019 conference to be held in Québec City, Québec in May 2019. Follow us on Twitter, #EVVEconf! Learn more about the Annual Student Competition organized each year during our Annual Conference.